Reebok Sublite Work Shoes are slip resistant, static dissipative shoes with dual resistors. 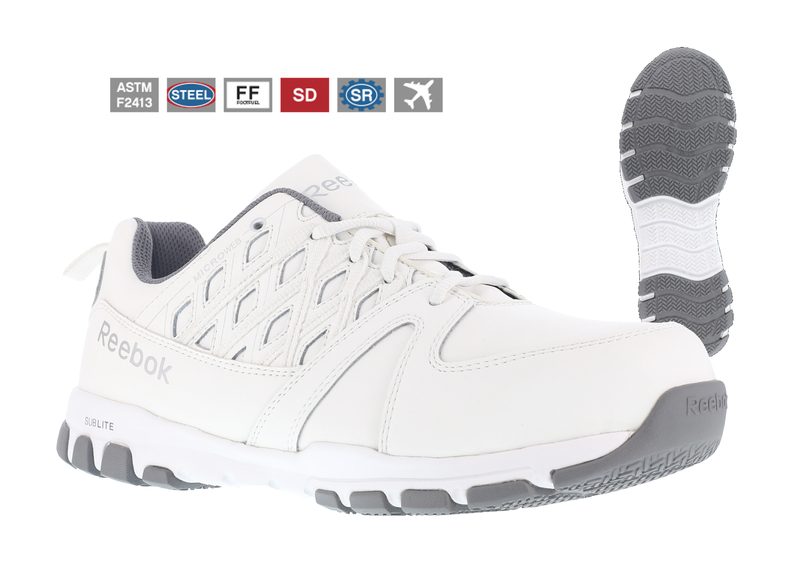 They utilize Reebok's Athletic Oxford design with FootFuel™ Footbed technology and Reebok's 30-Day Comfort Guarantee. Available in Men's and Women's as well as with Soft or Steel toes. Color: White. Shoes are also available in Cleanroom ESD from Nautilus Footwear, as well as Cleanroom Crocs™.